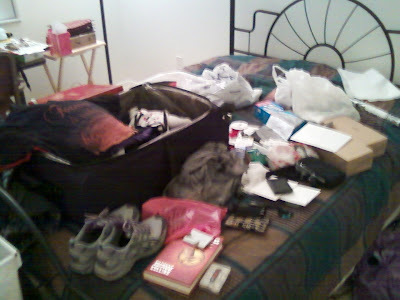 Twilighters Dream: All packed and ready to go! NOT! Hey Twilighters! Sorry I haven't been on much! There's just so much to do before the trip. Tonight was supposed to be packing night and as you can see that didn't happen. Whatever happened to me packing last week? Ugh! Don't worry I'll do it tomorrow and will be ready. I am also getting my hair dyed Bella Brown tomorrow. I am so excited. I can't wait! WHOOP WHOOP!